SEO guidelines that takes less than 20 minutes | Be "Noticed"
SEO guidelines that takes less than 20 minutes. It is true that continuous efforts on SEO will bring something great but here are some quick SEO advices that will turn up the needle of your business. Many webmasters want to achieve success in Search engine optimization, but have never attained, because of limited time or the costs of SEO service providers. If you have robots.txt files then check it by visiting /robots.txt. You may get surprised as it may include folders, pages and images from search engines, which can bring traffic to your website. Unknowingly, robot.txt entries are the culprit of the developer who forgot to delete the designations when the new page gets live. It just takes a minute to get rid of one of the most common form of duplicate content. Check where your site pages exists- at www domain or Non-www domain. If your site pages exist on www domain then 301 redirect your non www domain pages on www domain. It is necessary to redirect this as search engines don’t want to see the two versions of your content and it is not necessary that the users will always target for www domain pages. A toll named Open site explorer will help you gain the information about your most linked content. You may find a webpage that has viral and gained tons of links that has been deleted from the server and hence displays a 404 error. It has become imperative that you yourself own your off-site listings, as web users become more localized in their search. I will not take much time to claim your listings and show search engines that you have full control over your external profiles. Using Google Webmasters tool, do a quick check to know the duplicate title elements. This can indicate- bad structure of title element, duplicate pages and keyword cannibalization. Checking this will show an insight that whether you have to spend some more time in writing unique title elements, which of the pages should include a particular keyword term. Summary: Creating a SEO friendly website is easy and is no longer a time consuming and an expensive process. Taking out 15 min out of your whole day, can help you achieve success in SEO as well as in Internet Marketing. Cathrine is the Content Writer in SEO Rank Smart A SEO Company. 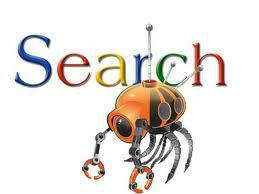 Who have a SEO Experts team and provides Outsourcing Services. She is interested in writing informational articles on SEO/ Tech related topics.